With the NFL’s free agency and NFL Draft periods officially coming and going, teams are beginning to report to organized team activities (OTA’s) as they set their sights on Super Bowl LII in Minneapolis. Who are the top rookies with the most to prove this upcoming NFL season? 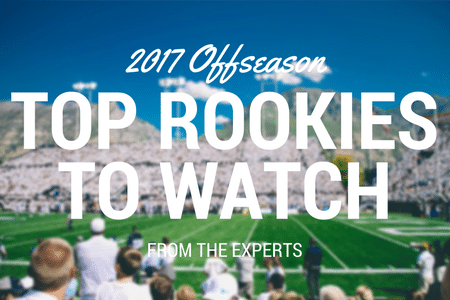 What rookies are you most looking forward to watching when the 2017 NFL season kicks off in September?